Saratoga County's newest 55+ Community offering upscale living is located at the intersection of Northline Road and Greenfield Avenue in Ballston Spa. We are a new community, and GPS devices sometimes have a hard time finding our address. The best address to program into your GPS belongs to our neighbor, the Hope Church which is directly across the street from us. The church's address is 206 Greenfield Ave., Ballston Spa, NY. Our leasing office is located just inside the entrance of Building 2000. We would love the opportunity to show you around our community! For your convenience, please find printed below some additional directions. I87 South to Exit 13N then merge onto U.S. 9 N toward Saratoga Springs. Take a left at the traffic light to Old Post Road. Follow Old Post Rd to the four-way Stop. Turn right on Northline Rd. Follow North Line Road across Route 50 and Rowland Street in Ballston Spa. Carlton Hollow is at your next intersection, with entrances on both Northline Road and Greenfield Ave.
I87 North to Exit 13N then merge onto U.S. 9 N toward Saratoga Springs. Take a left at the traffic light on to Old Post Road. From Route 50 North. Take a left on Middleline Road. Follow Middleline Road crossing over both Charlton Road and Route 67. Turn right on Galway Road which turns into Northline Road. Carlton Hollow is on your left between Sherman Road and Greenfield Ave.
Route 50 South. Turn right on Northline Road. Cross Rowland Street. Carlton Hollow is at your next intersection, with entrances on both Northline and Greenfield Ave.
Our location at Carlton Hollow allows you to take advantage of everything the area has to offer: Conveniently located near Milton's town center, Carlton Hollow is just a few minutes away from Saratoga Spa State Park. Nearby cultural attractions include the Saratoga Performing Arts Center, Saratoga Casino Hotel, the National Museum of Dance, and the Children's Museum of Saratoga. Downtown Saratoga Springs has great shopping, nightlife, and entertainment. Visitors come from near and far to enjoy a summer day at the Saratoga Race Track. 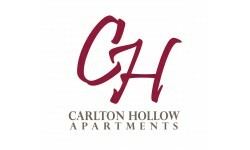 You will find so much to do inside and outside Carlton Hollow for fun and fitness your-round!